Where Do Razor Bumps Come From? How To Prevent Razor Bumps That Are Really Severe? Razor bumps can quite literally be a pain in the neck. So how to prevent razor bumps from showing up the next time you shave? A lot of it comes down to your morning routine and when the prep work before you get ready to shave. However a critical step is the type of razor your plan on using as well. Before we digest the morning routine, it’s important to know where razor bumps come from in order to understand how to prevent razor bumps down the road. Razor bumps are caused primarily from the hair becoming ingrown after shaving. Razor bumps will occur in the neck area where your hairs typically grow in at all sorts of different directions (more often than not neck hairs are curly whereas the hairs on your cheek are straight). However its not uncommon to experience razor bumps elsewhere on your face (upper lip). To break it down even further, if you are using a cartridge based razor that has the ‘lift and cut’ technique this is likely one of the main culprits. When you swipe across your face or neck area, the cartridge razor will literally lift up your hair, cut it, and then have it return below the surface. If your using a few day old razor, your hair was likely not cut straight and therefore when it begins to regrow (and the hair follicle is naturally curly), you are way more likely to have it become ingrown and cause a razor bump. 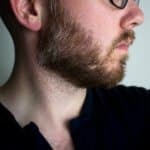 So if its the cartridge razor is really bad – then whats the alternative? There are several different types of razors on the market today. From the double edge, straight edge, electric shavers, beard trimmers, and cartridges you as a consumer have a ton to choose from. As I eluded to earlier in the last section, a cartridge based razor is the single largest reason for why you might be experiencing razor bumps. So how to prevent razor bumps – a double edge safety razor is a great start. The number of blades on its cartridge counterpart can actually be a bad thing – especially when dull. If you are like me and want to make the life of your cartridges last way past their 5 day recommended shave duration, your opening yourself up to shaving with a dull razor. When shaving with a several day old cartridge razor, your prone to getting more nicks and an unclean cut on your hair follicles. On the contrary when using a double edge safety razor, you’re only making one pass at a time. In addition, the blades used on a double edge safety razor are insanely sharp. Therefore with such sharp blades and less passes, you’re going to get a much cleaner cut – thus helping prevent razor bumps from rearing their ugly head. Of course too a double edge safety razor isn’t a ‘lift and cut’ razor, so there is no need to worry there either. Sharp cartridge razors are phenomenal making it damn near impossible to nick yourself with while shaving. On the other hand when using a double edge safety razor, there is definitely a learning curve that you will experience. Don’t be surprised if some nicks do naturally occur. When it comes to electric shavers, things can go either really good or really bad. While an electric shaver can be one of the fastest ways to get ready in the morning, if you are experiencing razor bumps while using one it may be the culprit. Just as noted earlier with cartridge based razors that lift and cut the hair on your face and neck areas, electric shavers do something in similar fashion. If you are using a rotary shaver instead of a foil based shaver (don’t know the difference check out our foil vs rotary explanation) – the hair is literally cut like a weed whacker (rotary heads). 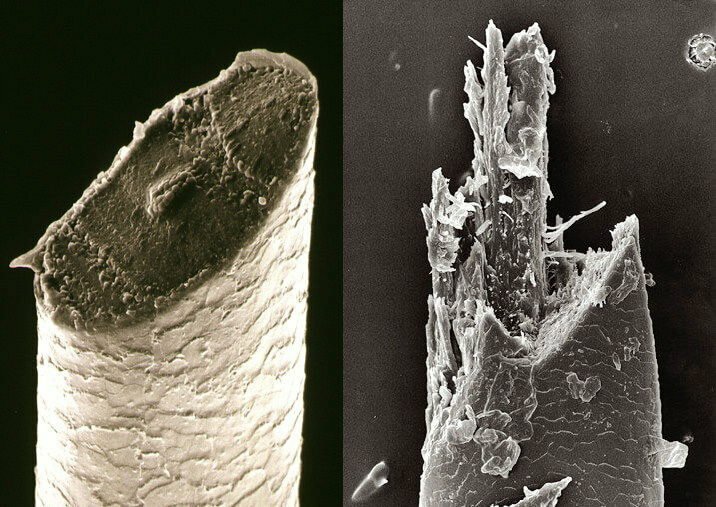 Sure this is definitely in microscopic detail – but the point is that your hair is not cut straight and is likely to grow in sideways and cause ingrown hairs and razor bumps. Foil based shavers do suffer from this same problem as well. If you are apprehensive on giving up your electric shaver quite yet – then you should try something like lectric shave. It’s an alcohol based solution that will make your hairs stand up on edge so you can get a better and cleaner shave with your electric shaver. Also there are some advanced electric shavers that do have an adjustment setting. If you can get away with it, try to come a notch or two up from the closest setting possible. Before you shave it is important to make sure that you take a long (i.e. greater than 5 minutes) shower. This allows the stubble on your face to completely absorb all of the water and fatten up. When you have hair follicles that are swollen it will allow the razor to pass through much easier than if you were to go in with just shaving cream. If you’re in a time crunch you can go with splashing hot water on your face or soaking your face in a hot wet towel for a few minutes. However this should only be secondary as a warm shower gives you a lot more benefits. Secondary to the prep process is checking out a decent pre-shave oil. I recently wrote an entire post outlining it for you to check out. 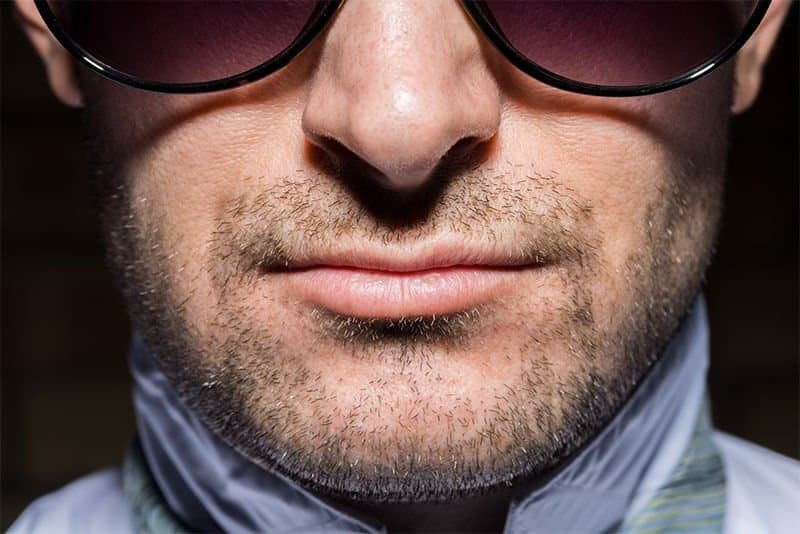 However on a high overview – its a liquid (usually natural oils) that further moisturizes your stubble before you shave. When applied it can help the razor glide through your beard even more effortlessly than if you had just gotten how of a shower. It is important to note with pre-shave oil that its very much a YMMV (you’re mileage may vary) type of deal. 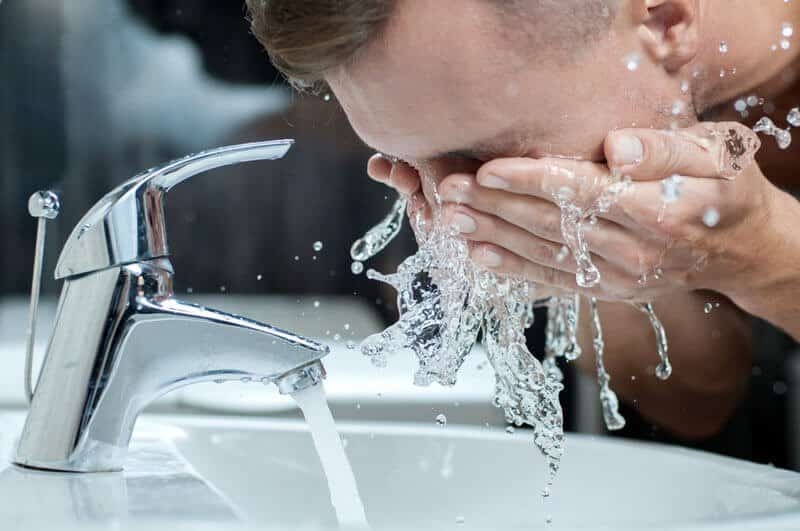 More often than not guys love it, but there are definitely quite a few that don’t find it as useful as they thought it would be (but they all seem to come to the conclusion that their face does at least feel smoother for the rest of the day). Shaving cream gets overlooked way more times than it should. 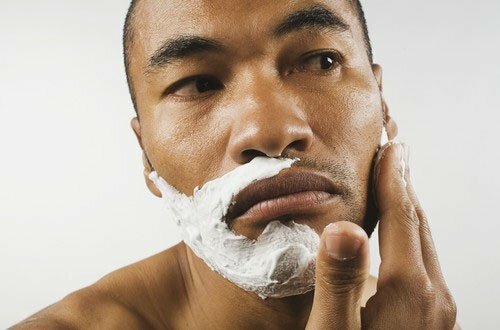 It is by and far one of the most important prep work steps that you need to consider in order to prevent razor bumps. You may be sticking to the Gillette or Edge variants – don’t worry I have done that too. After all when your at the grocery store looking to pick up a shaving cream you go to what your familiar with. But this is where changing your shaving cream can be a really good thing. For instance, check out this shaving cream. It has over 2,000 reviews and is rated 4.5 out of 5 stars! It provides a unique experience that you don’t get with your regular tube of cheap ingredients from the grocery store. What makes it so unique? More importantly will it help in preventing razor bumps? Similar in nature to the pre-shave oil mentioned above. A decent shaving cream like the one linked above has a ton of moisturizers and oils baked in to it. This helps make sure that the razor blade will glide through your beard like butter. The lather itself will feel so much more natural and ‘right’ (for lack of a better term) than its gel tube counterpart. To note: You can couple this up with a pre-shave oil for maximum moisture. Also worth mentioning the shaving cream listed above is scented, if its your first time and you really don’t like scents in your shaving cream, I suggest checking out this one that has also been highly rated. The best way to apply a botique shaving cream is not with your hands. Instead you want to go with a badger brush similar to this one. It’ll only set you back a few bucks but it will be completely worth it. 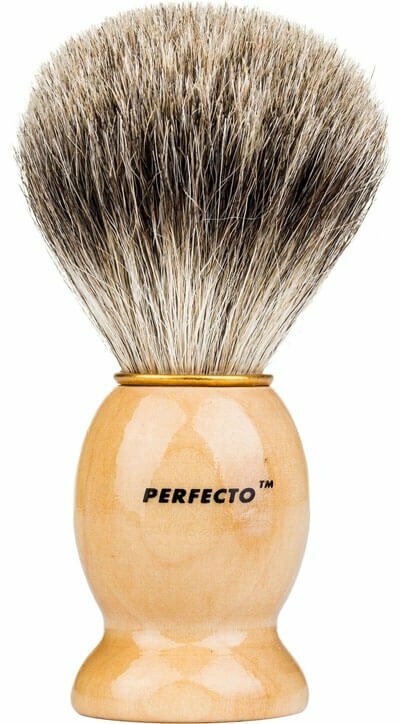 Instead of using your hands that may be giving a unequal distribution of shaving cream on your face, a badger brush is perfect for equal distribution of shaving cream. But that is more of a convenience than anything else. The real beauty lies in the badger brushes ability to transfer water from the shaving cream to your face. This helps make sure that all the hairs that are about to be shaved off are equally moisturized. The added benefit to the badger brush is that it acts naturally as a skin exfoliant so you’ll be clearing out all the dead skin cells in no time. 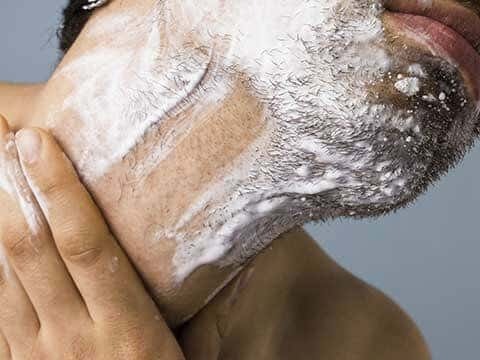 When it comes to shaving and preventing razor bumps, sometimes we get stuck into stubborn old habits that our father or grandfather may have taught us. It’s important to note that when you shave, make sure you shave with the grain. 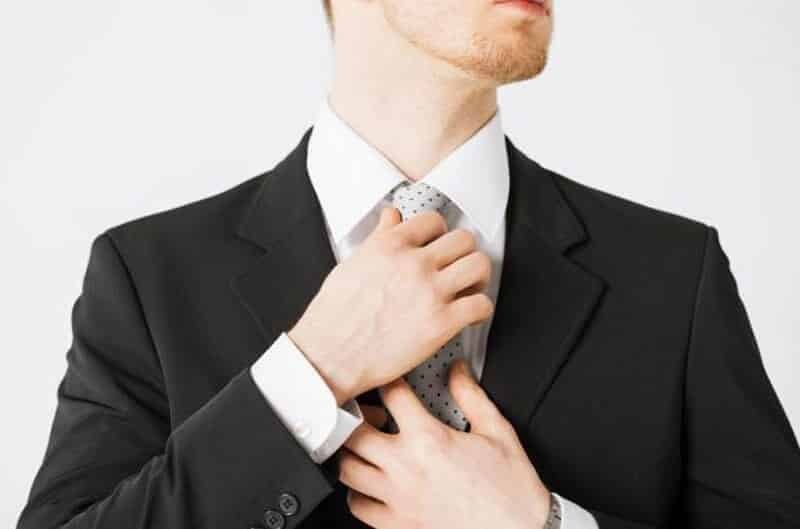 Many guys will claim that shaving against the grain will give you a much closer shave – while that may be true, you are opening yourself up to having potential razor bumps. You see when you shave against the grain, your razor will pull the hairs in a different direction than they once were. When you do that you are much more susceptible to ingrown hairs. Prior to applying any pre-shave oil or shaving cream, take a minute or two to inspect your face and the direction that the hairs are growing in. Once you get the general idea then you can proceed with the shaving process. Another important technique to the shave is that you shave on a daily basis. If you are shaving daily this will help prevent the hairs from getting to out of sorts and become ingrown. Lastly – don’t pull your skin too tight while shaving. The skin on your face is already relatively tight – therefore it doesn’t need the added stretch when shaving. You should avoid doing this as it will likely cut the hair at an unnatural angle making the hair more susceptible to growing in crooked thus creating a razor bump. Many work places are pretty liberal when it comes to their facial hair policy. If that is the case for your workplace you should really check out a beard trimmer instead. The largest advantage of a beard trimmer is that you never have a blade going across your skin. With that your hair is never cut below the surface of your skin therefore doesn’t have the opportunity to be ingrown. This would be the absolute best way to completely nix any possibility of razor bumps happening ever again. As an added bonus, most women find beard stubble extremely attractive. Aftershave is making a huge comeback in the men’s grooming world. Before it was often sought as a way to simply clean the skin by splashing on alcohol to your face once done with the shave routine. This was in large part popular with the barbers of the early 1900s that would use the same straight edge blade between clients. In today’s world – this has definitely changed. Now if you find alcohol in aftershave its typically for the cheap or low cost versions. If you decide to go with an aftershave, you should consider one that has witch hazel in it. 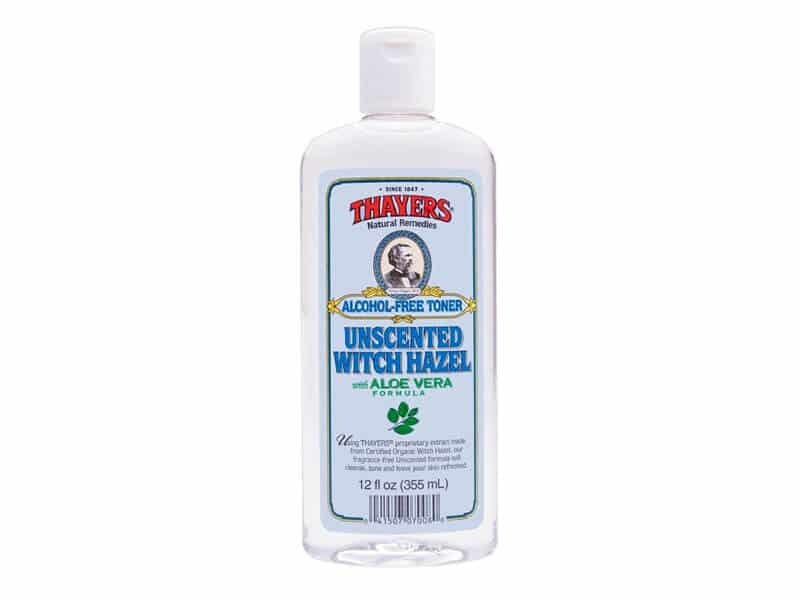 This is important because witch hazel won’t sting like alcohol and its a natural astringent and antiseptic that will both close up your pores and flush them out of any remaining bacteria after you are done shaving. 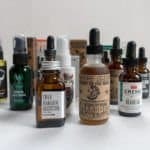 In some cases, if you followed all the steps highlighted above, you may still be experiencing razor bumps the last option that you have is trying an ointment. Hydrocortisone cream is generally used to treat a variety of skin conditions like itching, swelling, and redness. Generally you would squirt out about a dime sized amount and apply it on to your neck area. Antibiotic creams such as Neosporin help on preventing infection on the affected area. Being that the hairs are ingrown on your neck, infection is more likely to occur and this will help reduce it. Tretinoin is a common ointment used to cure severe acne while also used to speed up the cure for common pimples. The science behind Tretinon is that its primarily made up of Vitamin A of which promotes a faster turn over of the skin cells where it has been applied. Tretinon does require a prescription from your physician. As a disclosure I am not a doctor, so please if your considering a cream like the ones listed above, please consult with your physician first. As a wrap to the article on preventing razor bumps, you can see there are several different ways you can go about. However it is important to note that you might have to try different combinations. If its your first time trying to cure them I would recommend switching out your razor to a double edge safety razor if you are currently using a cartridge based one at the moment. Also its worth upgrading your shaving cream to a decent one that provides moisture and nutrients. The double edge safety razor alone can make a world of difference on both a comfort level as well as overall cost of ownership. I want to know how it turns out, so please drop me a line in the comments below and would love to hear what you think!